Grudgingly, I am beginning to acknowledge that fall is here; but since it’s still warm I started incorporating fall trends into my outfits by wearing simple layers like this. For me, wearing leopard prints can border on tacky when overdone, so I try to keep them as simple and uncluttered as possible. 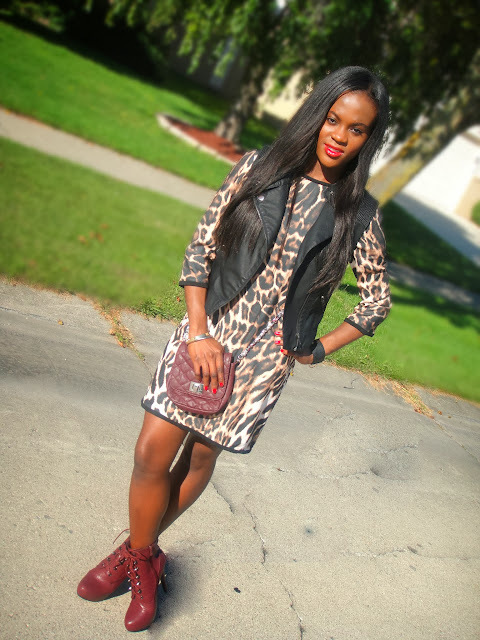 Since leopard prints are great statement pieces, when styling an outfit, I would either use a piece as the main focus of an outfit, or as an accent to an outfit. Never both. Here, I kept my jewelery to a minimum and threw on a light leather vest to complete the look.